Passive Mode disables all active protection, such as Core Shields and Firewall, so you can use more than one antivirus program at a time without interfering with the performance of your PC or the reliability of antivirus detections. In Passive Mode, Avast Antivirus still receives all virus definitions and program updates that allow you to manually scan for issues on your PC, but Avast can not actively protect you. All third-party antivirus programs are uninstalled. 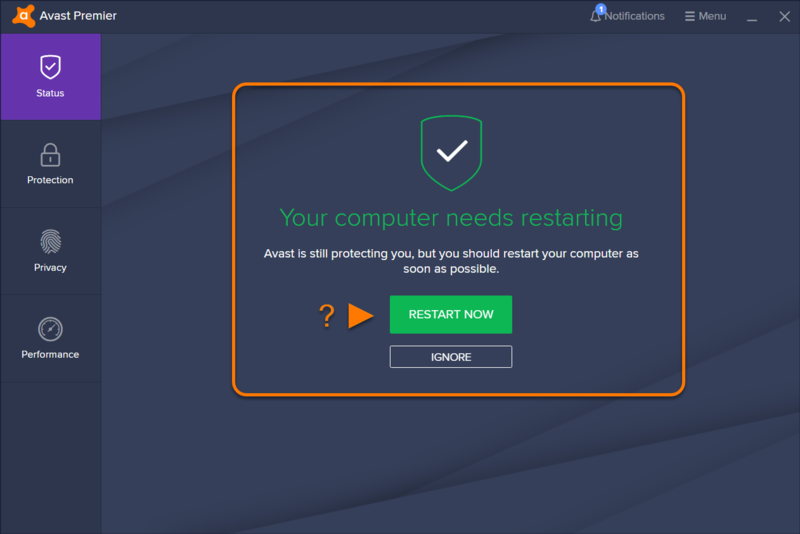 The main screen of Avast Antivirus displays the text You're protected. Ensure the General tile is selected in the left panel, and click Troubleshooting. Tick the box next to Enable Passive Mode. 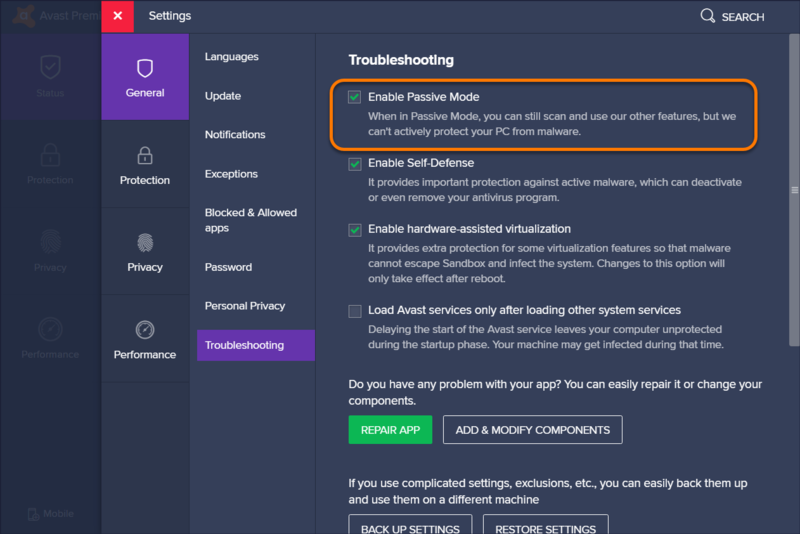 Click Restart Now on the main screen of Avast Antivirus to initiate Passive Mode. Your Avast Antivirus protection is now running in Passive Mode. 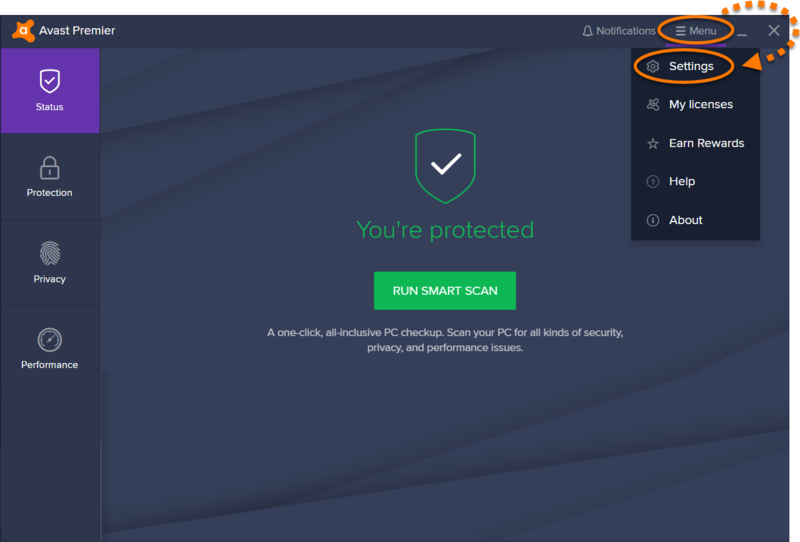 You can still run scans and check for threats manually, however, Avast is no longer actively protecting your PC. To disable Passive Mode, repeat steps 1-3 above, unticking the box next to Enable Passive Mode in step 3.